Healthy Vegan Breakfast, Oatmeal Porridge. Description: Healthy vegan breakfast, oatmeal porridge. 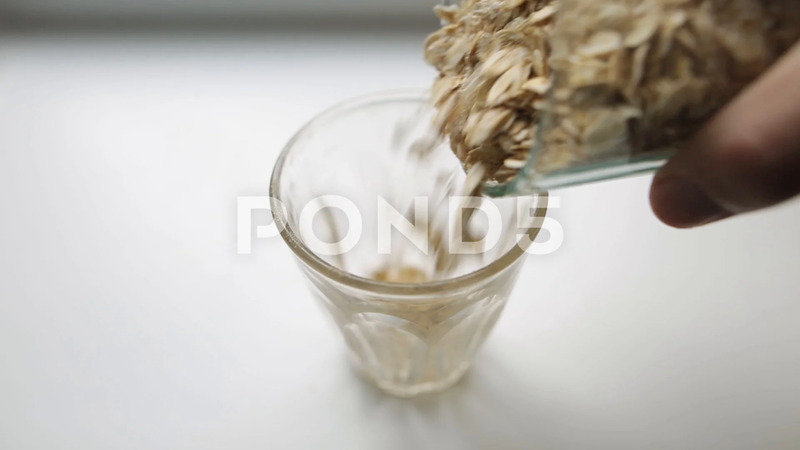 Hand of a Caucasian man pours large oatmeal from one glass into another on a white surface. Organic breakfast for strong muscles.. Closeup shot.